"All at once I become aware of the smell of horse manure. Hay. Diesel fuel. A hint of Oreos. My eyes fly open. I'm in the barn at the Lazy Dog. I haven't gone to my home. 1. 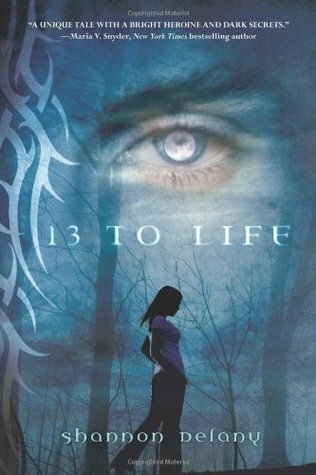 13 to Life by Shannon Delay--this should surprise no one (except for new followers!) as most of you know I was crazy about this cover! Also can say I'd gladly frame the other covers too! 2. 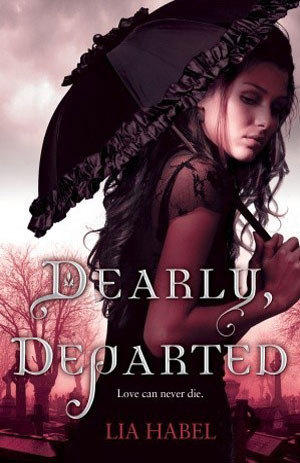 Dearly, Departed by Lia Habel--this one was just amazing! I actually have a mini poster of this framed on my wall! 3. 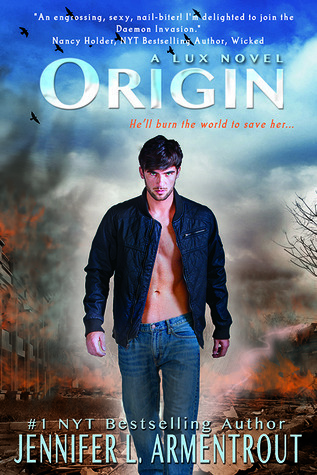 Origin by Jennifer L. Armentrout--Daemon/Pepe is freaking hot on this cover! Totally love it! 4. 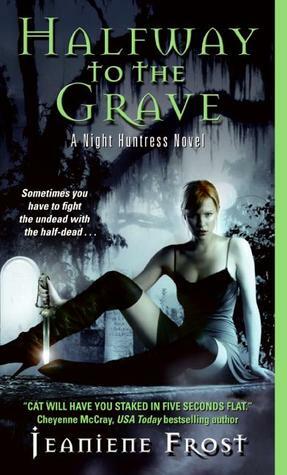 Halfway to the Grave by Jeaniene Frost--loved this cover! The perfect UF cover! 5. 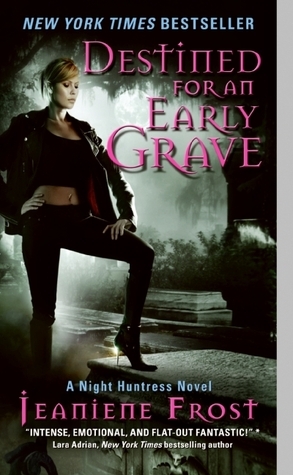 Destined for an Early Grave by Jeaniene Frost--couldn't decide between this and the first one so I chose both! 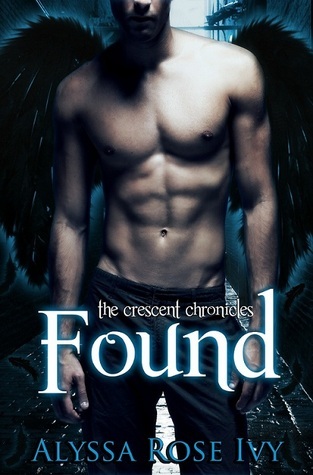 Another perfect UF cover that's just awesome! 6. Twice Tempted by Jeaniene Frost--Vlad is totally hot on this cover! And the flames just emphasize it! 7. 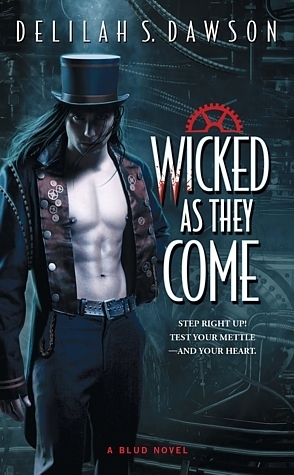 Wicked as They Come by Delilah S. Dawson--Criminy looks so freaky hot! Like a vampire version of the Mad Hatter! 8. 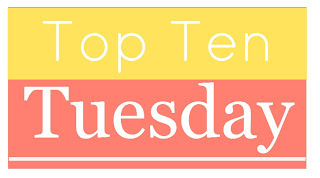 Hush, Hush by Becca Fitzpatrick--I was definitely drawn into this one! The way his wings are falling apart and he's falling in the sky! 9. 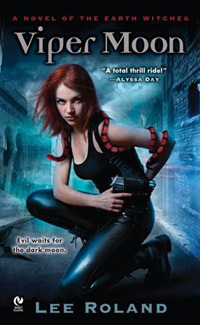 Viper Moon by Lee Roland--another perfect UF cover! She just looks so kickass awesome! Although, still a little squeamish with the snakes! 10. Found by Alyssa Rose Ivy--the PERFECT picture of Levi! Horse manure and Oreos, interesting. I haven't read this book but I've seen it around a bit. Nice tease choice. Ooooo, you picked some steamy, hot covers there! :) I'm liking them! I love that teaser! I need to read that series :) Thanks for stopping by! 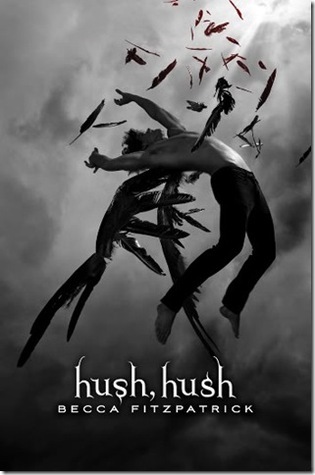 Despite my feeling for the Hush, Hush series I really love the covers. They are so gorgeous and I love the contrast. I really like the Dearly Departed cover. ( And I don't think I'll ever get tired of looking at Pepe ;-)) Great picks! And I love your teaser for Boundless. I've read Unearthly, but haven't got the second book yet. Can't wait to read it. I absolutely love the cover for Dearly Departed and Found. Great picks! OMG Origin! I would so put that one in a frame! Love Pepe... love the Dearly Departed cover as well. Great picks! I STILL haven't read Boundless! I need to get on that! I love the covers of the Hush Hush series. Oh no!! Wrong house! Great tease! I can totally see what your walls would look like!! Totally full of paranormal looks!! Dearly Departed has a LOVELY cover! Ok that teaser got me - the oreos seem so out of place? And she's in the wrong spot!! That's bad right? LOL sounds good! Dark Days Tour Event +Giveaway! Dark Days Tour in St. Louis! !